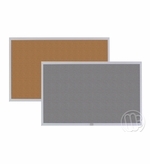 Colored cork boards from OptiMA Inc. Why settle for the everyday institutional looking tan cork board when you can add a splash of color and style to your tack surface? By making your environment more comfortable and colorful you're also inviting the space and the people in it to be more comfortable and more productive as well. 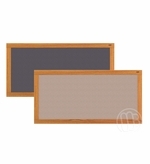 We offer a wide variety of colored cork boards in all kinds of framing options. 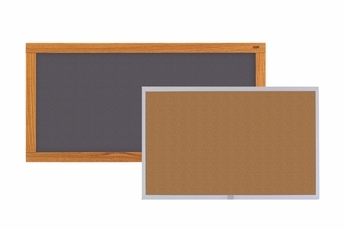 Select from Plas-Cork colored bulletin boards, burlap colored fabric or school and hospital favorites, the washable colored vinyl fabric covered bulletin board. 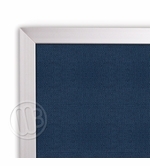 Color samples of any fabric, vinyl or plas-cork are available through customer service. Won't crack, split or crumble. 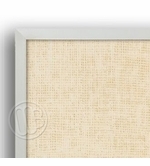 1/4" Thick with easy to use Self-Adhesive, Peel-n-Stick backing. 6 Colors. 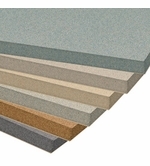 1/4" Materials sold in rolls by the linear foot. Requires Adhesive.